Heidi Witmer is the founder and Executive Director of the LEAF Project Inc. Heidi brings a strong background in both sustainable agriculture and youth development work. 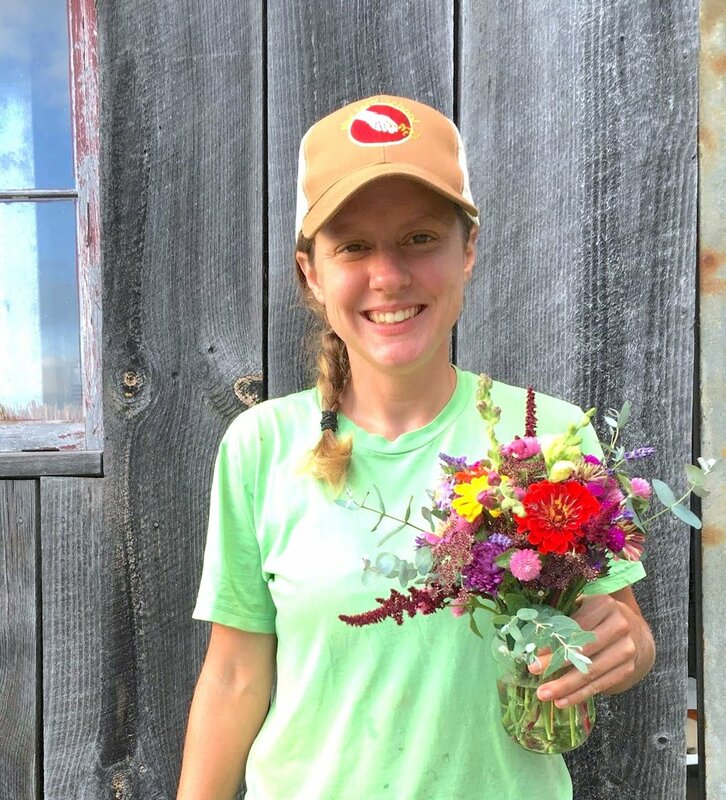 Growing up in a farming family, Heidi has always kept her hands in the dirt and has managed both educational and production vegetable farms in Maine and Vermont. Heidi also brings 15 years experience in the youth development field, first working as an instructor in a wilderness-based therapeutic program to teaching in a traditional classroom to becoming the head administrator at an all girls private school. Heidi received her B.A. from Haverford College with a major in Religious Studies and Peace Studies. The inspiration to start LEAF came the combination of her experiences while working with the U.N. in Kigali, Rwanda and seeing firsthand the power of using agriculture as community development and then later as a school administrator seeing the few opportunities her students had to do meaningful work during summer breaks. Heidi perceived a regional opportunity to connect one of our region’s strengths, a vibrant agricultural sector, with an untapped resource, youth employees, to meet some of our most pressing challenges: food insecurity, rise in food choice related health challenges, and workforce development. LEAF Youth Interns gain valuable and lifelong skills while connecting our community to the food we eat, the land on which it grows, and to each other. Heidi and her husband, Shane Kaplan, currently live in Perry County on the LEAF Farm and share a lifelong love of travel and adventure. Despite many attempts, their dog Poppy has not adopted their love of whitewater paddling. Shane has been with LEAF since the beginning, when it was just a seed of an idea. He joined the year-round staff in 2014, bringing a passion for work that makes our youth, community, and world stronger as a whole. Shane holds a Master's degree in education and has worked in the field of experiential education for over 15 years. Currently at LEAF, Shane is developing several kitchen ventures designed to empower our youth and community with skills to prepare and serve great food. Additionally, he is responsible for fundraising, farm facility management, and some programming and education. 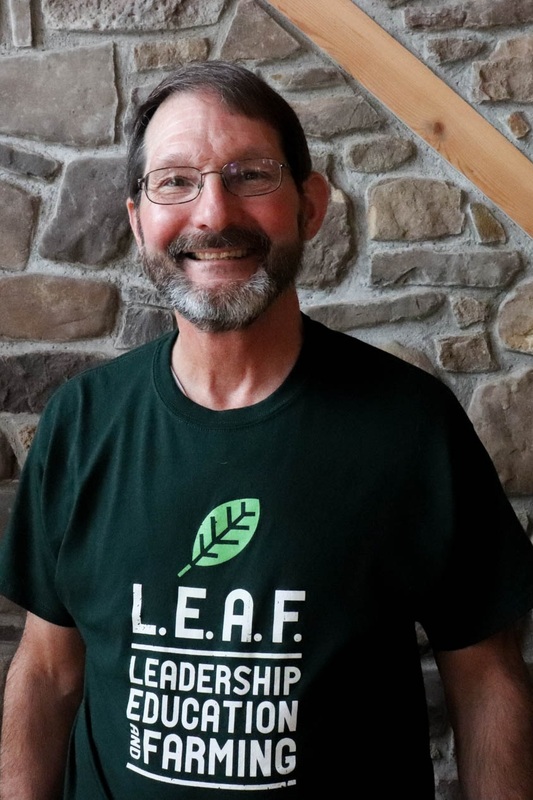 Dave has been the part-time accountant for LEAF since 2017. Dave spent most of his career in the corporate world with AMP Inc. and as a senior level executive with the SYGMA Network, a division of SYSCO. After business travel got the best of him, he spent the last ten years of his full-time career as the Finance Director for Sadler Health Center in Carlisle. Now in retirement, Dave has a few part-time accounting jobs to keep him busy and also enjoys working around the house and fly fishing. Ricki started working with LEAF in 2019 as program coordinator. Ever since she was 10 years old, she dreamed of cultivating an intentional community based on a farm. LEAF is a realization of this dream. As a high schooler, Ricki participated in a youth empowerment program called Operation Understanding D.C., an organization building a generation of young leaders working cooperatively to end all forms of discrimination. This instilled in her the belief that young people are powerful and a part of the solution for positive social change. Ricki comes to LEAF with a strong background in youth development, first working to build leadership and life skills through cooking with high schools students in DC and then at Operation Understanding DC as program director. She is passionate about social equity, environmental sustainability and art - particularly in the rare moments when all three are in coexistence. Originally from the D.C. metro area, Ricki is excited to build a home in South Central PA.
Amber Bahn is originally from southern York county but has spent the last ten years in agriculture/education in Australia, Connecticut, and Massachusetts. Her passions started out solely in education; however, not long after graduating from college, she worked at a farm school in Australia. It was here where her life-path shifted dramatically--she quickly learned she loved being outside, having her hands in soil, and teaching others about growing food in a responsible way. Upon moving back to the U.S. after 5 years abroad, her focus shifted to combining sustainable agriculture and education. The next few years included an apprenticeship, an agricultural education program, working on other farms, as well as starting a small farm business of her own. Somewhere in that time, Amber felt the calling to be closer to home, friends, and family (especially her nieces and nephew!). She is so excited to put some roots down in this area and to be working for such an intentional organization such as LEAF! Two very important roles in the LEAF Project are the Crew Leader and Assistant Crew Leader positions. They have the most interaction with the youth and are really the glue that holds the program together. Most of the leadership team has experienced the program as a Level 1 Youth Intern and has chosen to come back this year in a more challenging position. With these positions, these individuals are able to further develop their leadership skills. We are lucky to have such an amazing bunch. We trust each other; we know that we can count on each other to complete a task. Sometimes times are tough, but everyone manages to pull together and continue working only creating a strong bond among us.